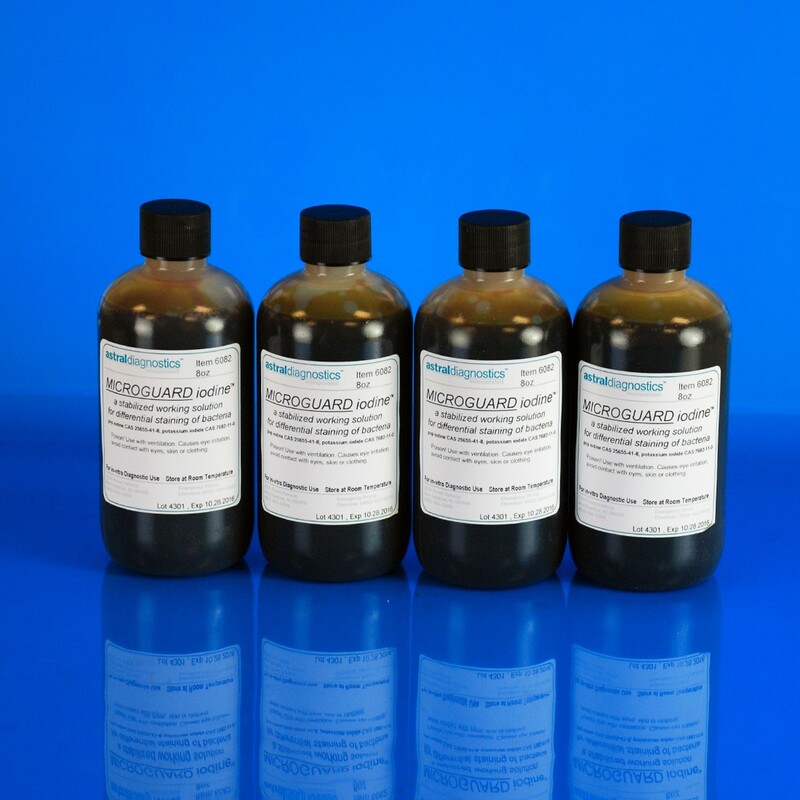 MicroGuard Iodine Replacement, Stabilized | Polysciences, Inc.
Iodine is the mordant in Gram's Staining method. Applied after the crystal violet to chemically bond the dye to the bacterial cell walls. The solution is stabilized with polyvinylpyrrolidone allowing a constant level of unoxidized iodine. Stabilized iodine is pre-mixed and ready-to-use. Consist of 4x8 oz replacement bottles. FDA approved for in vitro diagnostic use.